The three-story 27,000 square foot Guerrieri cigar factory was built in 1900. During World War II, it served as a naval barracks. It is currently abandoned, although, there is a sign out front advertising it for sale for a mere $1.6 million. 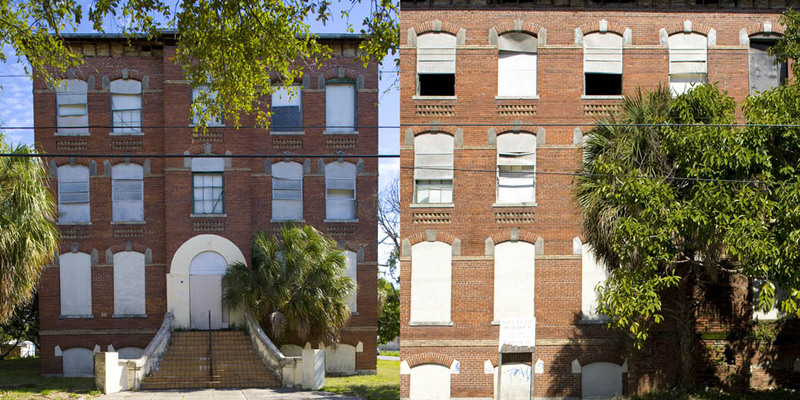 If any of you buy it, I’d love the opportunity to photograph the interior of the building! 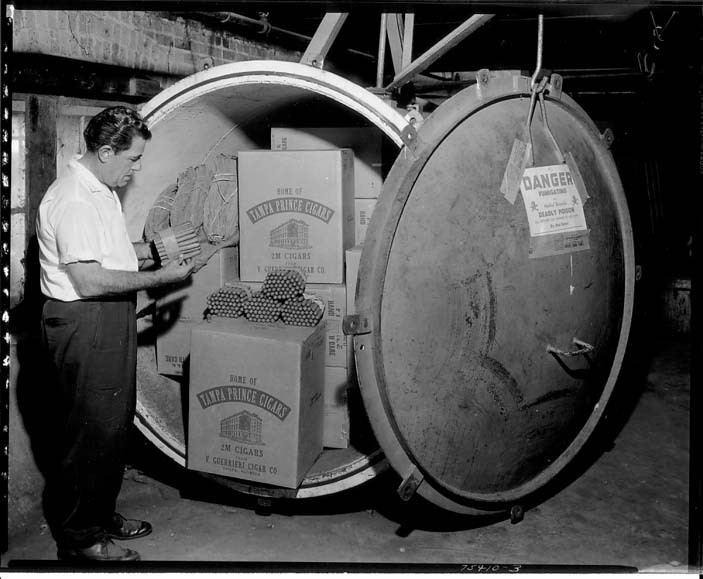 The photo below is from 1957 and shows the fumigation equipment inside the factory. I wonder if it is still there? 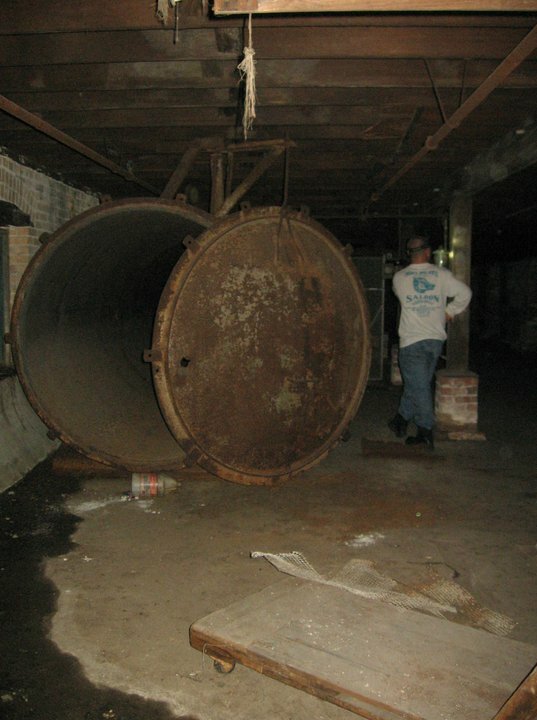 Yes, that pressure chamber is still there, although it has a hole rusted through the door. Two of the old tobacco machines are still inside, fallen through the floor after a fire. My uncle Vincent and his son Joseph owned this factory,but I have no idea who A.Guerrieri is.